Buzzfeed has published its listing of the 35 Great Books By Indian Authors Published In 2016, including It’s Not About You in 12th place. Other complaints aside, this year did bring us some good books to curl up with. From fact to fiction, long reads to short stories, and graphic novels to poetry, here’s what we loved in 2016. 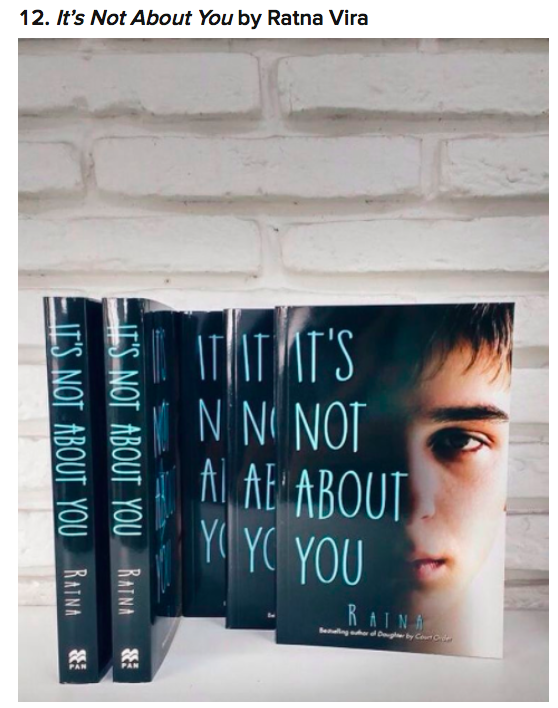 In the company of many excellent books, Ratna Vira’s It’s Not About You was featured in the 12th position of the best fiction and non-fiction titles by Indian authors in 2016.